From Art Deco Collection & Sheldon Bloomfield. 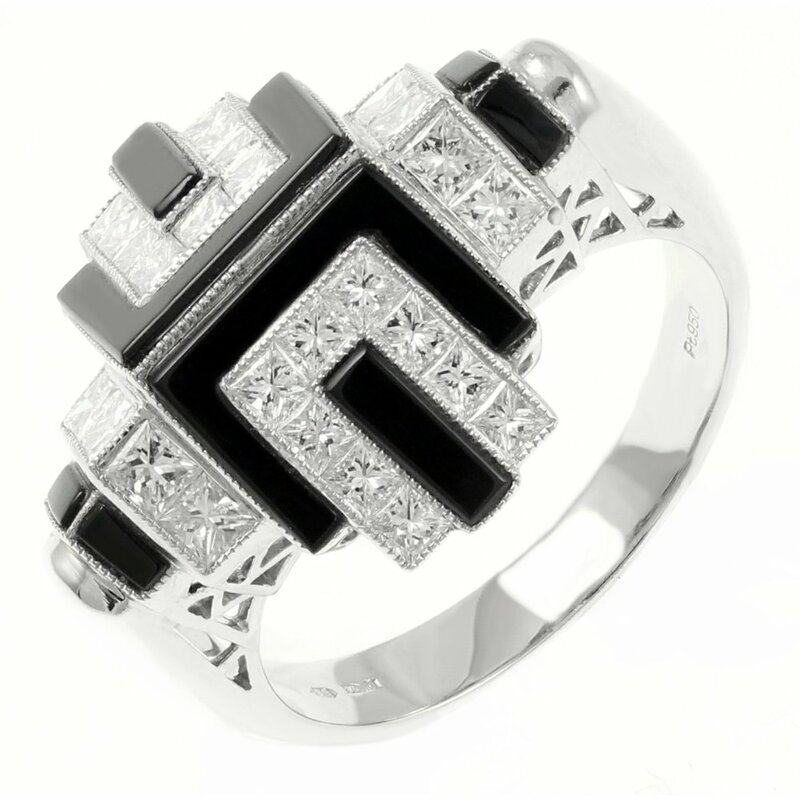 This beautiful platinum dress ring is set with black onyx & princess cut diamonds. Total diamond weight = 0.92ct. All stones in a rubover setting. Finger size M. Can be altered if required.